Written by Jason Greenwood on 17 February 2018 . 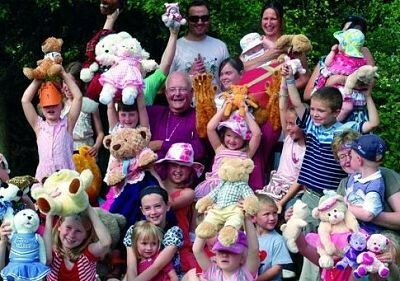 Once you have made provision for your loved ones, you have the opportunity to make a lasting gift to God, by leaving a legacy to the Church of England's uniformed organisation The Church Lads' & Church Girls' Brigade. Leaving a gift in your Will to the CLCGB is one of the most valuable and lasting ways you can continue to support the CLCGB in your community and across the world. A gift can be an expression of your gratitude and thanksgiving towards God, and can help keep your local CLCGB alive, and help transform its future. For many CLCGB units, regular giving and subs are absorbed in ‘keeping the show on the road’. This usually involves everyday activities such as paying for insuring our members, renting or donating money to the Church for the use of the space, and to pay for uniform for our members and leaders. A gift from your estate is different. No matter how large or small, each gift can make a significant impact on our mission and ministry locally and nationally. If you would like to leave a life-changing legacy and make your mark on the CLCGB, please contact us at contactus@clcgb.org.uk and we will provide you with the necessary information. Please consider how a gift in your Will could help the CLCGB meet the needs of future generations.